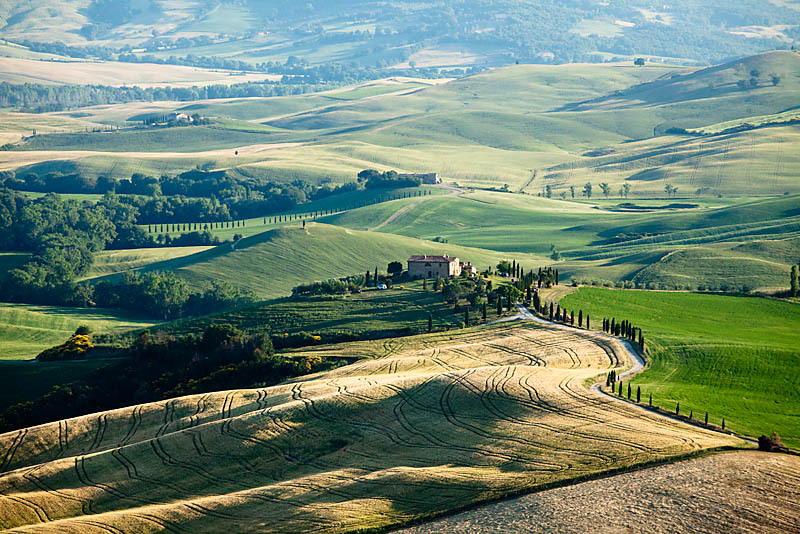 The landscape in Tuscany is well-known, and many breathtaking images had been made there. 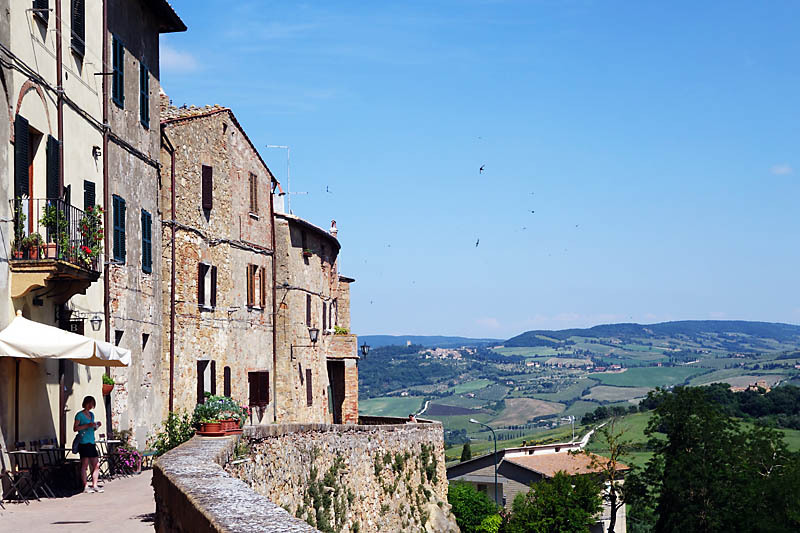 Aside from the famous Chianti region, famed for its wine, there are other areas with equally enchanting landscapes. In particular, I am somewhat enamored with Val d'Orcia. 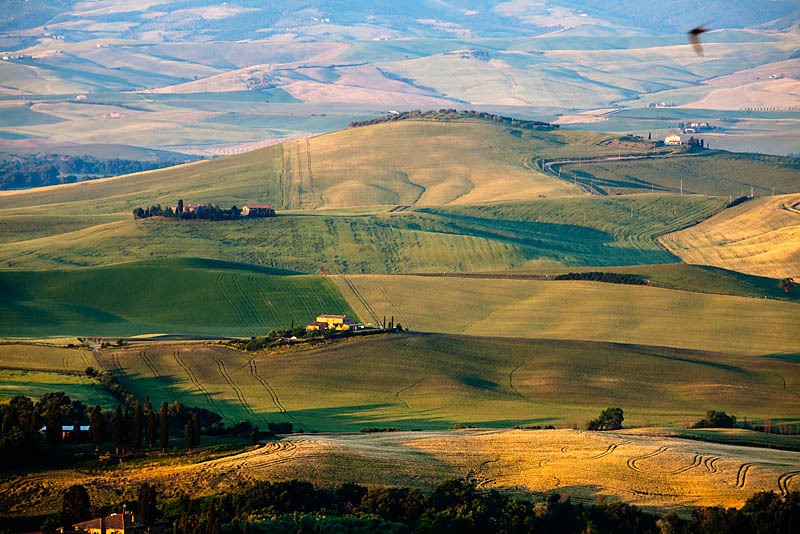 "The Val d’Orcia is an exceptional reflection of the way the landscape was re-written in Renaissance times to reflect the ideals of good governance and to create aesthetically pleasing pictures." I am absolutely won over by the "aethestically pleasing pictures" part. Indeed, with the rolling hills, the varied shaded fields, and well placed trees, the light play during the early morning and late evening hours is truly mesmerizing. The light and shadows on display create endless possibilities for a stunning image. A landscape photographers' dream scene. 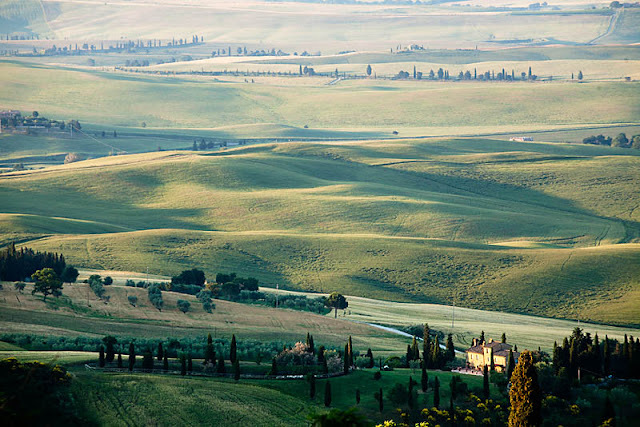 Tuscany is a region that is best experienced with a vehicle. Public transport is limited to buses with limited schedules and only certain towns are linked by trains. However, it is still possible to appreciate Val d'Orcia on public transport and come away with its beautiful landscape pictures. One of the possible village/town to stay is Pienza, which has bus connections with Siena. 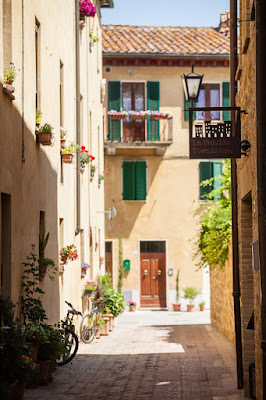 The town itself was declared a UNESCO site even earlier, and perched on a hill overlooking the valley, it is an excellent site for photographing the landscape right within the town itself! 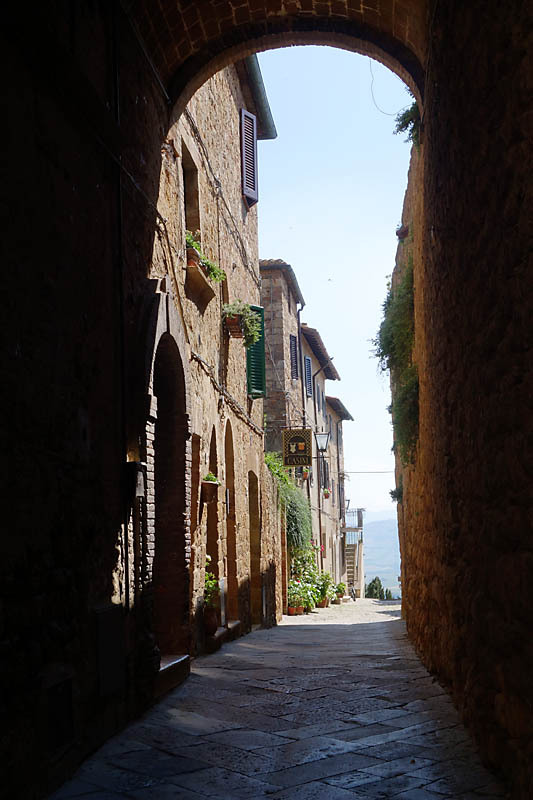 Check out Pienza and Val d'Orcia when you next visit Tuscany!